As I write this post, it is Independence Day in the United States. It is also the Muslim season of Ramadan, a season that is about to come ton an end. Tomorrow is Eid al Fitr, the feast that signals that the season of fasting has come to an end. Many of my friends will be gathering to celebrate this important festival in Islam. Ramadan is supposed to be a season of peace, and yet ISIS and those inspired by it's nihilist vision of a distorted version of Islam have chosen to use this time not to draw close to God, but to kill, destroy, and terrorize. When Paris was bombed, may declared "We are Paris." Americans rightfully grieved the violence in San Berrnadino and Orlando. But is there similar sense of grief at the recent string of violence in Istanbul, Bangladesh, Baghdad, and yes Saudi Arabia (including the holy city of Medina). 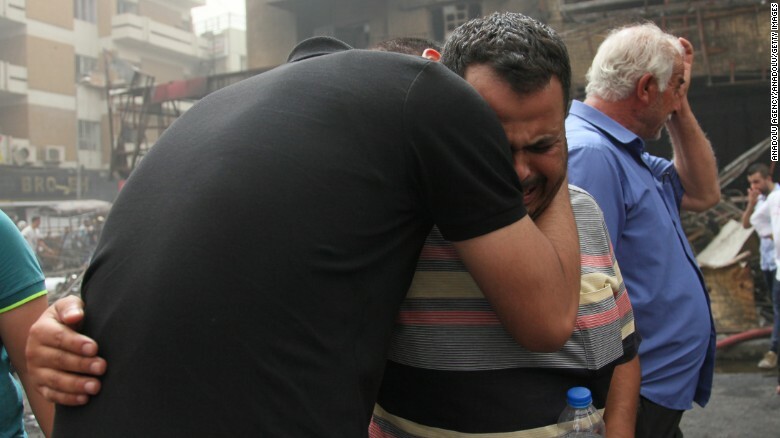 As a friend asked on Facebook -- where are the declarations of "We are Baghdad" as ISIS attacked Shia Muslims celebrating the end of a day of fasting killing at least 200? ISIS is on the retreat in terms of territory, and now is turning to random acts of violence intended to terrorize. They're doing a good job of terrorizing the innocents. My Muslim friends are shaking their heads. Their grieving. They're making clear that this is not the Islam that they profess (any more than the Klan represents my vision of Christianity). So, may we declare this day that We are Baghdad! Let us grieve with the people who would want to celebrate Ramadan, but are instead forced to grieve. Let us keep our friends and neighbors (even far away whom we do not know personally) in our prayers and work for peace and justice for all.